Showing 35 articles from July 13, 2016. LOUISBURG -- The Franklin County Board of Elections unanimously approved an election schedule that will let voters take advantage of a full Saturday of early voting, even though the board's chairman doesn't think it's necessary and proved to be costly in the primary. Residents, including State Rep. Bobbie Richardson, County Commissioner John May and Louisburg Town Councilman Christopher Neal, packed the board's meeting room on July 7, urging the board to include a full Saturday in the early voting schedule. LOUISBURG -- A month after the State Department of Transportation announced it was funding U.S. 401, it began in earnest the legal process of acquiring the property it will need to improve the two-lane road to a four-lane highway. Halfway through 2016, DOT has sought to condemn about 17 pieces of property along or just off the roadway, offering about a dozen property owners more than $1.23 million for the easements, right-of-way and property they will need to add lanes to Section C -- from N.C. 96 in Wake County to just north of the Flat Rock Church Road/Clifton Pond Road exit south of Louisburg in the Royal community. 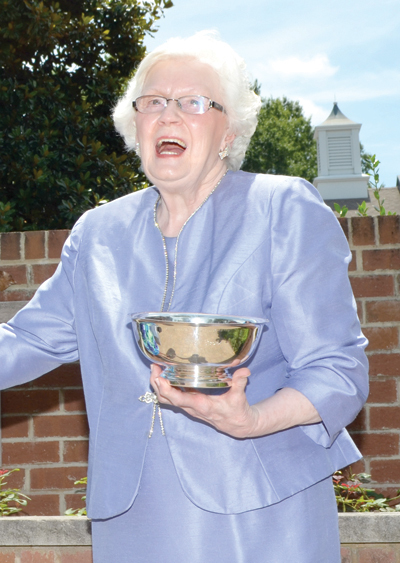 LOUISBURG -- A well-known local businesswoman, volunteer and community supporter, Mollie B. Evans, was presented the first-ever Elizabeth May Service Award Sunday afternoon in a brief ceremony in the garden of Louisburg United Methodist Church. LOUISBURG -- By the end of the month, a state budget that includes provisions that bolster the county's plans for a new hospital should be in place. And, in two to three months, Franklin County could know exactly who that provider would be. 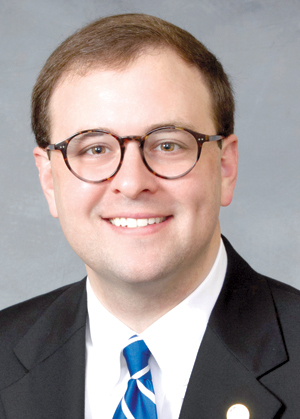 In the interim, according to North Carolina Health News, a leader in the General Assembly's Senate Subcommittee on Appropriations on Health and Human Services -- the group tasked with doling out money that could aid in the hospital effort -- says Duke Lifepoint and WakeMed are the leading candidates to open up an emergency room in Franklin County. LOUISBURG -- Franklin County's recent high school graduates "aren't just hanging out on the streets," said an obviously pleased School Superintendent Pascal Mubenga at Monday night's board of education meeting. Instead, an astonishing number are headed off to college, Dr. Mubenga reported. Of this year's 202 Bunn High School graduates, 78 percent are planning to attend college this fall. Among the 219 Franklinton High graduates, 75.8 percent are college bound. LOUISBURG -- Chad Barefoot of Wake Forest has been named vice president for institutional advancement of Louisburg College, according to an announcement by College President Mark La Branche. Barefoot, a former member of the school's board of trustees, replaces Kurt Carlson who established the foundation for the college's advancement program and retired June 30 after more than six years of service to the school. We've all waited a long time to hear good news about access to medical care in Franklin County and it was a relief to finally have a chance to write about that last week. However, don't discount the two giant steps that have been taken toward returning a full-service emergency room to Franklin County along with a few urgent care beds. On July 5, Baton Rouge, La., police officers responded to a convenience store after midnight, after getting a report that a man, Alton Sterling, was selling CDs and threatened someone with a gun. When officers arrived, according to reports, they asked Sterling to put his hands on the hood of a nearby vehicle. When police allege Sterling wouldn't comply with officer's orders, reports state, police tried to restrain him, using Tasers. 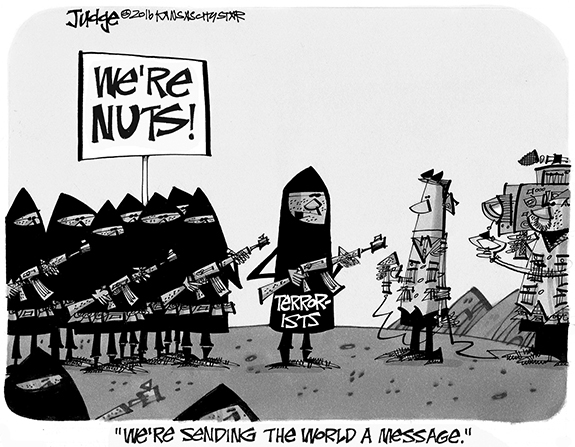 The largest employer in North Carolina is the government. More people receive their paychecks from a government entity than any other employer. A government job is believed to be the most secure, carrying real benefits, of them, the most prized are healthcare and a retirement pension. Once upon a time, a person could find a job in corporate America, work it for 30 years, and find a comfortable retirement. Those days are gone. I could tell you endless stories of those I personally know betrayed by companies which found legal ways to break promises made to retirees. Any state budget is massive and North Carolina's current version, just approved during the short session, also provides a plethora of material for me. Getting into all of it would take this entire edition or more, so today I'll concentrate on one aspect. The radicals in Raleigh transferred $500,000 from a disaster relief fund to a defense fund for HB2. 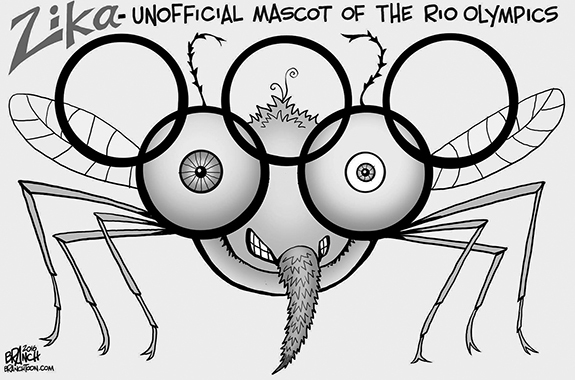 They avoided a tax increase by transferring funds earmarked to take care of an unforeseeable disaster. After hearing both views in the debate over bathrooms, Roy Cooper is the one with the extreme views. Governor McCrory rightly pointed this out during the first gubernatorial debate, but now we'll see if the media holds Roy Cooper accountable for his radical agenda. ZEBULON - Connie Mack Perry, 74, of Zebulon, died Tuesday, July 12th in his home. LOUISBURG - Funeral services for Magdalene Perry, 84, who died Monday, July 4, 2016, were held Sunday, July 10, at Walnut Grove Baptist Church in Louisburg, with Dr. Timothy Walker, pastor, officiating. Burial followed in the Walnut Grove Church cemetery. HENDERSON - Funeral services for Odell Branch Sr., 82, who died Monday, July 11, 2016, will be held Saturday, July 16, at 11 a.m. at Mitchell Baptist Church in Louisburg, with Dr. Daniel Lilly, pastor, officiating. Burial will follow in the Mitchell Church cemetery. BOOT CAMP. 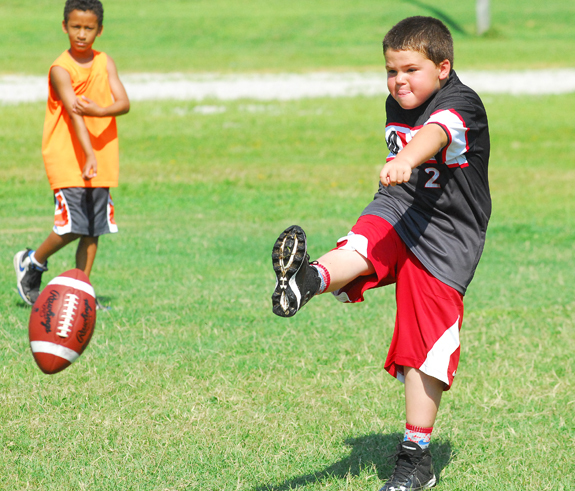 Garrett Watkins punts the football during the Punt, Pass and Kick competition at the annual Bunn High School Youth Football Camp. BUNN -- A sure sign that summer is upon us is the Bunn High School Football Camp, which is held every June on the BHS campus. A total of 45 youngsters took part in last week's event, which featured a trip to Carter-Finley Stadium to tour the North Carolina State University football facility. BHS head coach David Howle served as the camp director, and he was helped out by several Wildcats' players and assistant coaches. 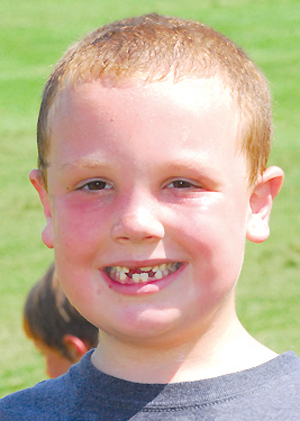 "It was a good camp,'' Coach Howle said. 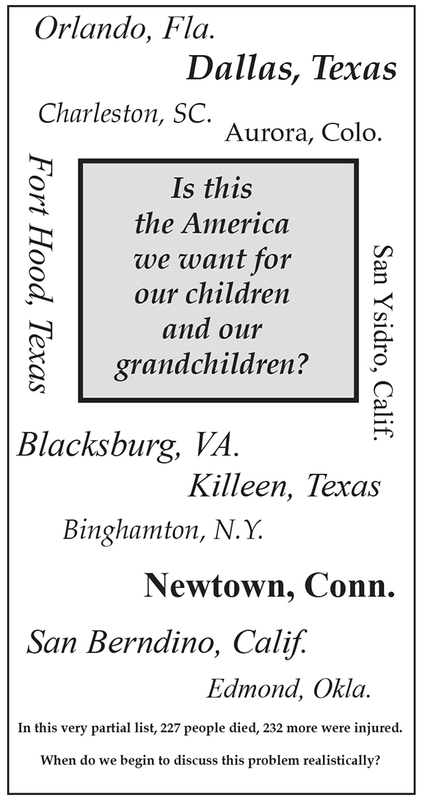 LOUISBURG -- Moving up one age group -- especially when it entails competing against older kids -- can be a difficult proposition. That is something the Louisburg All-Stars discovered last weekend when they hosted the annual Tar Heel District 9-10 Baseball Tournament at the Louisburg High School Softball Field. 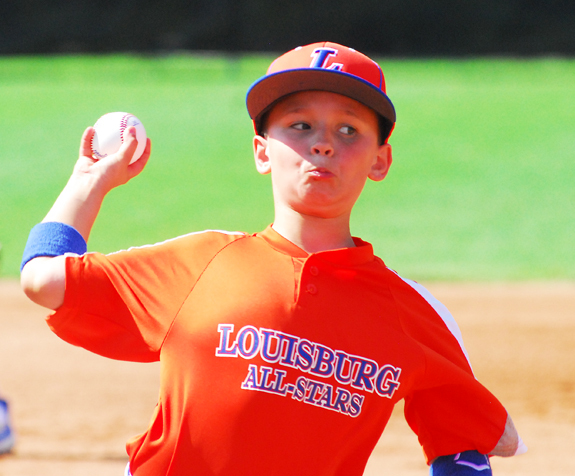 Last summer, Louisburg, taking part in the Coach-Pitch level, reached the state finals before suffering a tough loss to season-long nemesis Wendell -- the same team the All-Stars finished behind in the district tournament. HELPING HAND. 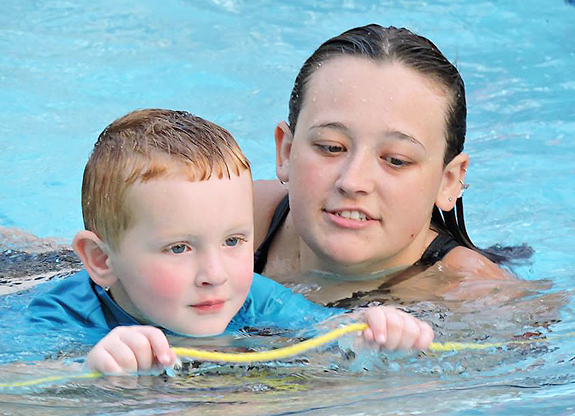 Town and Country Stingrays swimmer Joshua Stallings receives some assistance from assistant coach Rebecca Keith during last Thursday evening's home matchup against the Franklinton Frogs in Louisburg. LOUISBURG -- The Town and Country Stingrays opened up their 2016 summer swim schedule last Thursday with a 263-76 decision over the Franklinton Frogs. Town and Country's long-successful program is being coached this season by Lindsay (Harrison) Duncan and Rebecca Keith. TOP HURLER. 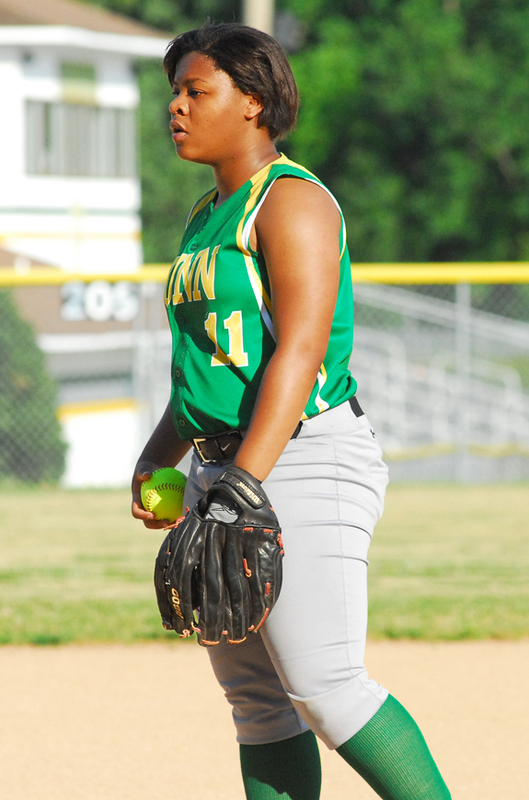 Bunn High School senior standout Erica Davis has been selected as the Northern Carolina Conference Pitcher of the Year for the 2015 campaign. FRANKLIN COUNTY -- 'Small but spectacular' would be one of the best phrases to describe Bunn High School's senior softball class during the 2016 campaign. The Ladycats boasted just three upperclassmen -- but all of them were long-time stars for the tradition-rich program. And those seniors capped off their careers in style this spring by leading Bunn to another strong showing that featured a run to the third round of the Class 2-A State Playoffs. WOODBRIDGE, VA. -- Braxton Davidson hit a tape measure blast in the sixth, Sal Giardina was 2-for-4 with two doubles and Omar Obregon was 3-for-4 with two doubles as well, but the Carolina Mudcats fell to the Potomac Nationals 6-5 in the finale of a four game series in Potomac on Monday night in a Class A Carolina League baseball contest. 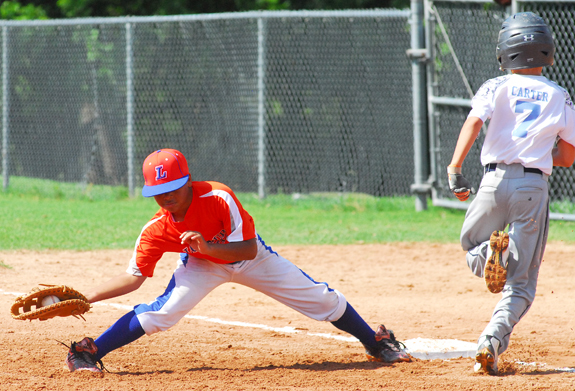 The Louisburg All-Stars hosted the Tar Heel 9-10 District Tournament last weekend at the Louisburg Softball Field. In the abpve photo, William Dement is shown whizzing a ball toward the plate. 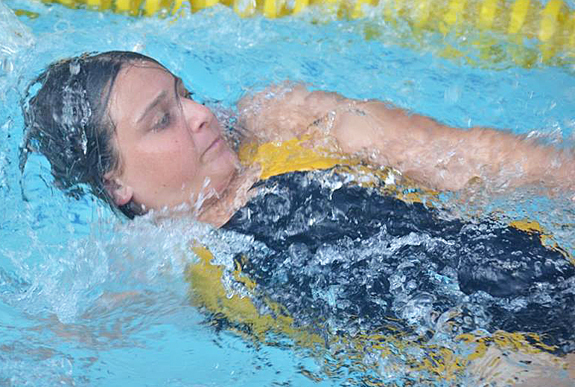 Town and Country's Jessica Weathers competes in the girls backstroke in the 13-14 Division as part of last Thursday's home swim meet against the Franklinton Frogs. 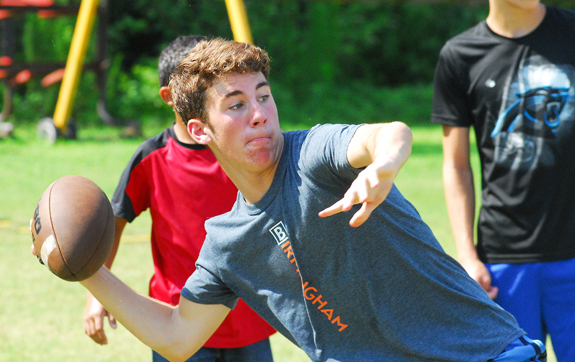 Collin Caskey prepares to pass the ball during the recent Bunn High School Youth Football Camp. Caskey is the stepson of former BHS distance standout Andy Darnell. 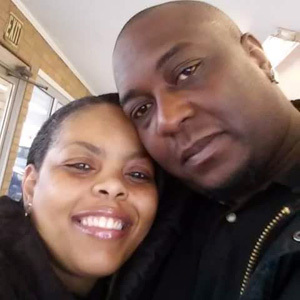 Mark High and Tonya Lee Mitchell of Louisburg announce their engagement. Tonya is the daughter of Doris Lee of Littleton. Mark is the son of Betty Ruth Alston of Louisburg. A wedding date has not been set. 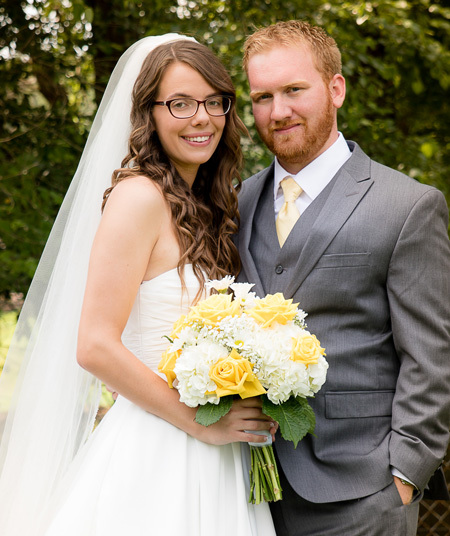 Lindsay Ann Harrison of Louisburg and Spencer Blane Duncan of Virginia Beach were united in marriage on June 25 at New Sandy Creek Baptist Church, with Pastor Tim Burgess officiating. The bride is the daughter of Jerry and Dee Harrison of Louisburg. The groom is the son of Roxanne Allen of Kittrell and Alan Duncan of Louisburg. The grandparents of the couple are Faye Harrison, Barbara Duncan and Patricia Allen. Enjoy summer's treats, but make sure food is safe! 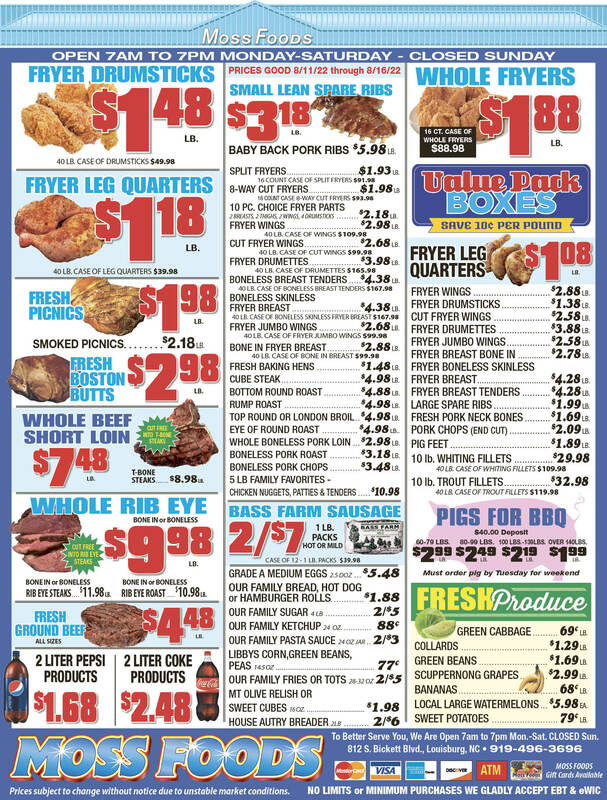 Summer time is officially here, long sunny days, walks in the park, cookouts and lots of fun outdoor activities is what summer is all about. While we all enjoy eating wonderful tasting foods at cookouts and picnics we should keep in mind that with warm summer weather bacteria multiplies rapidly, and rapidly growing bacteria brings about sickness that we want to avoid at all costs. Foodborne illness is more common than most people realize. CULLOWHEE -- A total of 2,230 students, including seven from the Franklin County area, have been named to the Western Carolina University dean's list for spring semester 2016. Also, 1,154 of those students, including two county residents, also achieved an additional academic honor by being named to the chancellor's list for the spring semester. 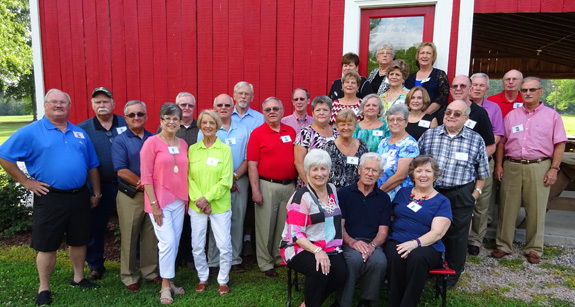 The Franklinton High School Class of 1966 recently held its 50th Class Reunion at Hill Ridge Farms in Youngsville. LOUISBURG -- Narcotics officers with the sheriff's office and DEA agents arrested half a dozen area residents on federal drug charges. Deputies and agents with the federal Drug Enforcement Administration arrested the suspects without incident, according to Franklin County Sheriff's Office Chief of Staff Terry Wright. LOUISBURG -- For the third year in a row, Liz Guzman is working to turn her personal pain into pleasure. She is hosting a Community Family Fair at Joyner Park in Louisburg on July 16, celebrating the legacy of her daughter, Rosemarie Guzman. The 24-year-old was killed by her estranged boyfriend in 2011. Since that time, her mom, Liz Guzman, has worked to keep her legacy alive while also providing support to victims of domestic violence. Police are investigating nearly double digits in reports of vehicle break-ins. The first was reported July 5 when police responded to a home in the 300 block of N. Elm Street to find someone had stolen items from a 1998 Ford Expedition. According to the report by Officer D. Moore, a DVD player, registration card, mail and a bag of corn, among other items, were taken from the vehicle. Over the course of several days, eight more thefts were reported. ZEBULON -- A Franklin County couple narrowly avoided disaster when a bullet hit the couch they were sitting on. Franklin County sheriff's deputies responded to a home in the 100 block of Brantley Town Road in the southern end of the county on the evening of July 8 after getting a report that a shot was fired into a home. When they arrived, they found a bullet lodged in a couch that a husband and wife had been sitting in, according to authorities.